As we are days away from one of the saddest transitions in U.S. history, billions of people all over the world are pouring out their love, prayers, support and gratitude for the great work that you have done over the past 8 years. Each person is expressing in their own personal way the level of impact that you have had on their lives; so I felt that it is important that I do the same. 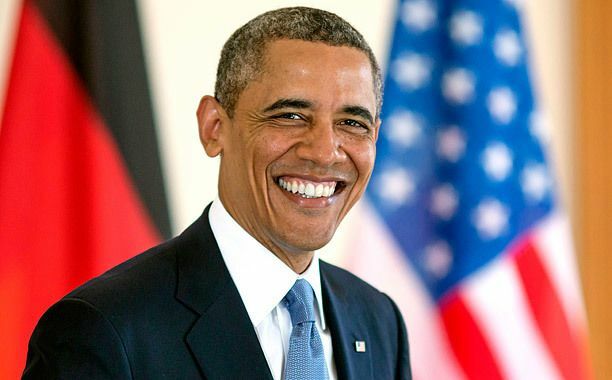 Mr. President, I want to truly say thank you for you just being Barack Hussein Obama; the man that brought class, prestige and a grand vision to the office of the President of the United States of America. You took the boldest leap I ever seen in politics, by going with your heart and listening to the people instead of going through the establishment (better known as the “machine). Your life story is very reflective of so many Americans that can truly be reinvigorated by the hope and dream that they can be ANYTHING they want to be in this great country of ours. I, like so many Americans didn’t know who you were; I remember Dr. Antonio Perez, the president of the Borough of Manhattan Community College once told me while I was a student there, that you came to the college one time and walked through the cafeteria; even we as students didn’t know who you were. From being a U.S. Senator from Chicago to becoming one of the greatest U.S. Presidents in history, you were the spark that ignited the change that our country needed so desperately. When I saw that you decided to run for President, I knew in my heart that you would be President because I said in my mind that if you will be the first, then I would definitely be the second; therefore I prayed and supported you because I believed in the “Yes we Can” theme for the United States of America. I never forget when history was made on that Election day in 2008; I was at my church and my pastor had ordered food and refreshments for us while we sat and waited to see the results. In my studies of politics and most presidential elections, I knew that a winner would not be determined until the 11:00 hour. I never forget that around that time, the church was closing up and I was very anxious to witness history, so I ran to my brother’s house and 10 min after getting there, the screen showed your face as the 44th President of the United States. I was in awe that when I came home, I cried. Those tears were tears of joy and happiness because it was at that moment, I felt that the rise of the true progression of the United States was beginning to emerge. I was the Student Government President at that time and I remember us planning a big celebration at BMCC where we had performances and watched the inauguration live on CNN. The cafeteria was packed with students, faculty and the community; we even had BET’s 106 and Park come out to cover the event. That day, I seen for the first time in any inauguration, millions of Americans come from all walks of life to Washington D.C. to witness not just history, but greatness. Mr. President, you have inspired me to go harder towards my calling to become President of the United States of America. You have indeed brought class, style, integrity, love, passion and a grand vision to the office of the President and you have become a global example of what the characteristics of a leader should entail. You have understood that you are the President of the United States and that your goal is to UNITE; regardless of political affiliation, race, gender and creed, to work together towards the great principles and values of what this country can, and will be. You are one of the greatest orators of our time, speaking in a way that can resonate and identify with the everyday American to be strong and show support for one another. In the African-American community, your mere presence on television have ignited a new flame of ambition and focus that the children and adults can be ANYTHING they want to be. You are an amazing father and an indescribable husband who has set the atmospheric tone of what an African-American family can, and shall be despite the negative imagery we face. Mr. President, when I say to the public when I am introduced to do a speech or present a topic that I am going to become President of the United States one day, I still get the chuckles from some and I even get the watered down version of my dream from others. What that does for me is give me an even stronger and greater focus to make sure that I work hard to get there. I am sure you know that there is no legitimate plan to become President, but if one is confident that they will get there and [like you and me] they have faith in God Almighty, they can get there. Mr. President, from your style, to your famed walk and smile, you have touched so many lives in this world; whether the people will say it before the world or just keep it to themselves. I truly believe that in going forward, we will carry the “Yes we can” mantra for generations to come. It is going to indeed pain my heart that you will be leaving the office that I will one day reside in, but in the same breath I am honored that you have served our nation in the greatest way possible. On December 13th 2016, I, along with my closest friend, my mentee and my brother had the greatest honor to visit the White House. That visit was so awe-inspiring because we have visited a home that you, Mr. President currently reside in and for me, I felt the history and the future throughout White House. I am extremely honored that I can call you my President and the President who I, among millions have voted for twice to cement your legacy. I really hope to sit down and talk with you one day as I will one day be among the giants in U.S. History to show that America is always beautiful. Mr. President, this young man from Brooklyn, New York truly want to say THANK YOU to the man from Hawaii by ways of Chicago for being one of the greatest U.S. Presidents of all time. I will carry on your legacy and your ideology that we have to remain united and press forward to see the greatness that this country can and will become.